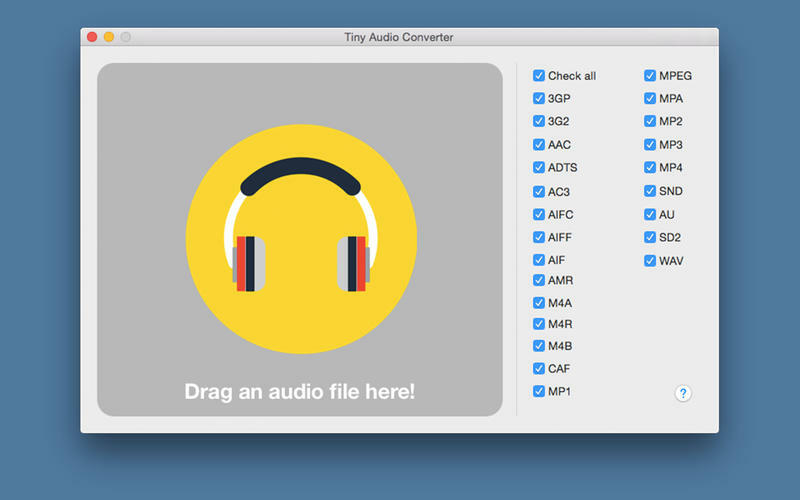 Tiny Audio Converter helps you to convert audio files from one kind of format to many possibilities. This handy tool lets you convert from many formats!!! You can convert audio files from/to: 3gp, 3g2, aac, adts, ac3, aifc, aiff, aif, amr, m4a, m4r, m4b, caf, mp1, mpeg, mpa, mp2, mp3, mp4, snd, au, sd2, wav. If you need more information please contact the developers of Tiny Audio Converter (Sergio Martinez), or check out their product website.